What to do with our chimney breast? We've almost finished decorating our dining room. The walls are Stone Blue and the ceiling Dimpse - both Farrow & Ball. We're leaving the coving white as a contrast between the two. But we've so far left the chinmey breast as we're not sure what to do with it. We can't decide whether to paint it all blue, all grey, or blue on the main but with grey inside the fireplace. We're anti the all-blue idea as we think the fire will be lost against a blue background. ...we agree, all blue could be too much. If you go for painting the whole breast, say a light grey, what could look really edgy is a small, log mural behind the fire. I'd paint the fireplace Stone Blue too, but the inside Dimpse. or maybe the reverse - Dimpse with blue inside. Maybe a clever person could mock up both versions for you to decide. 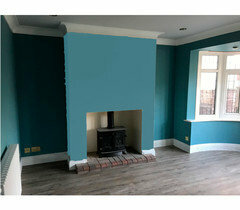 I'd leave it in the colour you currently have to make it stand out and offer a lighter shade within the room so the blue doesn't close in on you and become too overpowering. 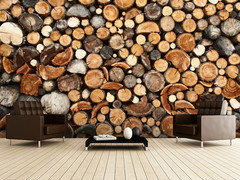 You room looks great, you can add some candles to the side of the wood burner, lots of different sizes. Add an unusual focal point with pictures or a large mirror. 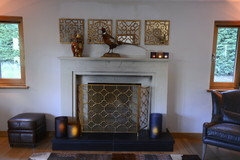 At the side of the fire place use some small tables with a lamp or floor lights at add light back to the dark corner. I think the colour of the fire place is lovely and really sets it apart. Have you considered doing the chimney breast in white to match the coving and skirting? It could be quite unifying, and leaves it open to link in to all the different items you will be bringing into the space once the decorating has been finished. 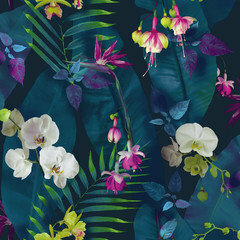 I has a similar blue in it to that on the wall! 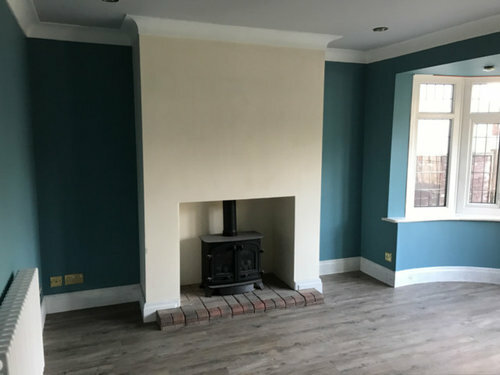 How to style a fake "wood burner" with no chimney breast? Chimney Breast - Yes or No?